Our February 2016 meeting will be at the Aksarben Aquarium on Wednesday the 17th. Dave Touhy will be presenting a program on Tenkara Fishing. This is a method of fly fishing that some regard as the simplest or purest form of our sport. Tenkara fishing is rapidly rising in popularity and we'll get the inside scoop this month! Doors open at 6:30 PM and meeting starts at 7. And as always, we'll have our raffle with some great prizes. Our February Fly of the Month is the classic midge imitation, the Griffith's Gnat originally tied by George Griffith. 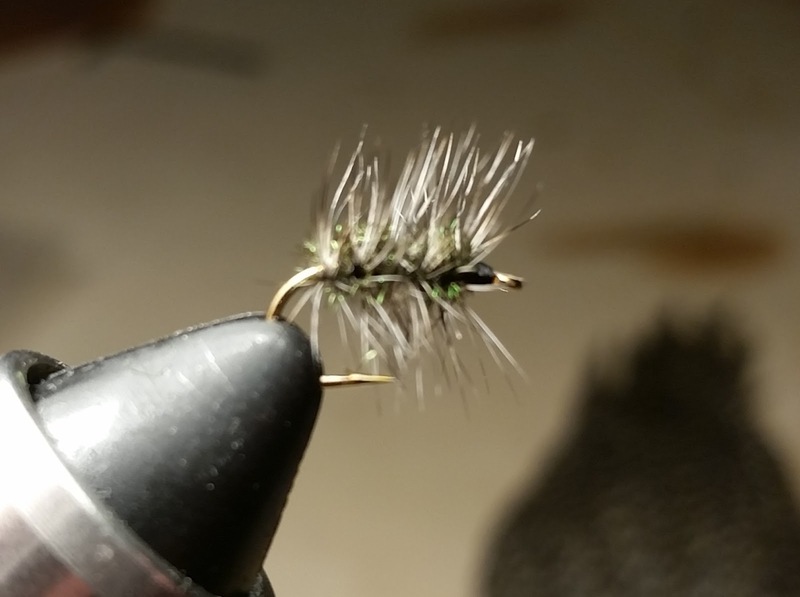 If you've never tied a small dry fly before, this is the place to start! Check out our Fly of the Month tab for more information. Also, don't forget about our "Tie-ins" during the winter months. The next Tie-In is Saturday February 20th at the Aksarben Aquarium from 10AM to 2PM. Bring a pot luck dish to share and tie some flies for Ted True Trout (our awesome Spring Fling raffle prize filled with CFF member tied flies).